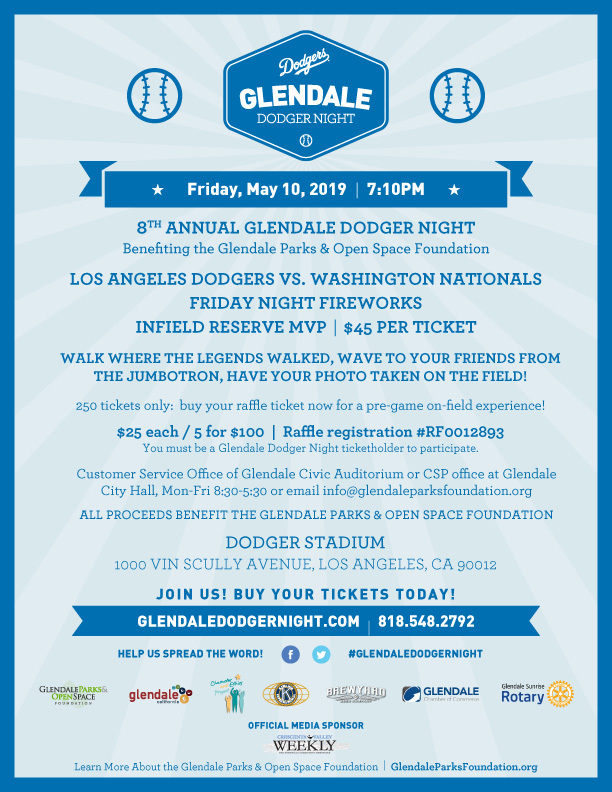 Join us at Glendale Dodger Night and support our Glendale Parks & Open Space Foundation! Glendale Dodger Night is an annual fundraiser which brings together hundreds of community members at Dodger Stadium to watch our Los Angeles Dodgers and support a great cause. The Glendale Parks & Open Space Foundation is a 501(c)(3) non-profit organization which supports park projects, recreation programs, and trails and open space activities that enrich the entire community.